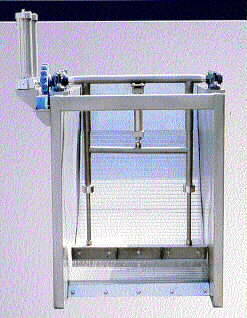 FILTRATION SOLUTIONS supplies high quality Rotary Slant screens. These screens are installed directly into a wastewater channel and filter solids through a special curved screen. Solids are lifted by a slowly rotating washing brush out of the channel into a receiver. Polymeric gear coupling applied in the drive unit for low noise.